Welcome to the online site for renting houses through Dr. Barbara. If you would like to contact Dr. Barbara about renting, please call or email her at. Please click the thumbnails below to view the larger images. 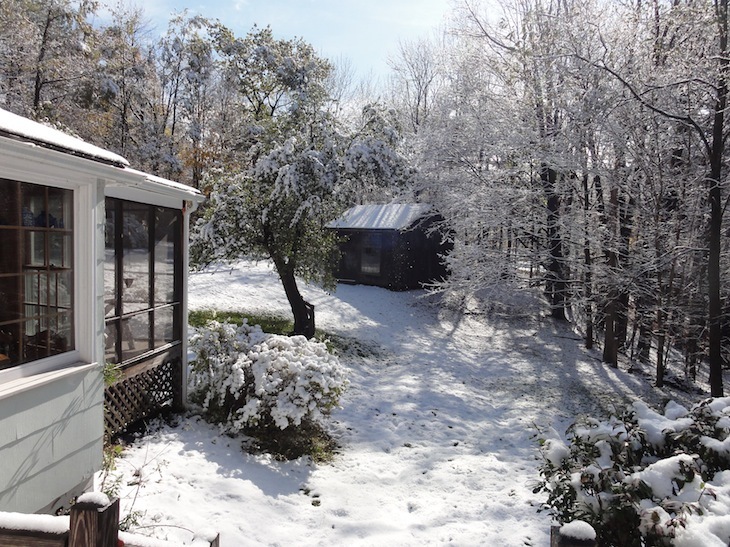 GREAT HOUSE FOR ALL SEASONS; LOCATION Berkshires Area, Lebanon Springs, NY - 12 min to Tanglewood "I take great pride in the house and have put a lot of decorating skill into making it charming and comfortable, both inside and outside. There's a big back yard with a BBQ, and privacy. A comfortable screened porch with white wicker furniture and a picnic table overlook a charming garden. There are two living rooms (one a large tv room/office), each with a fireplace, and a Studio/Barn, which can be used for painting. The house is fully equipped - not a "rental" house, but my home, which I rent. Amenities: 2 fireplaces, BBQ grill, washer/dryer, linens included, dishwasher, telephone, microwave, toaster, coffeemaker, dishes/utensils provided, cable TV, VCR, stereo, CD player. Pets are permitted. Things to Do: Near Lenox (Tanglewood), Stockbridge (Berkshire Playhouse), Shakespeare & Co., Williamstown Theater, MacHaydn Theatre, many gourmet restaurants, boating, camping, swimming - 5 minutes to Queechy Lake (great beach and swimming), theatres, opera, ballet, painting, dance - in the midst of a cultural area. Also, 5 minutes to the Alpine Slide at Jiminy Peak, two minutes to town tennis courts. It is 10 minutes west of Pittsfield. 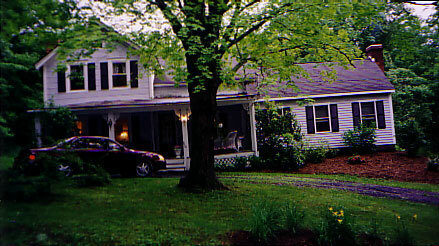 Lebanon Springs is a charming, country town, with great restaurants. -- For the winter season, SKI Jiminy Peak.